Tmrw.Tday Announces Additions To The 2018 Lineup! This May, Tmrw.Tday Culture Festival presents its second staging in Negril, Jamaica; from the 1st to the 6th. In addition to the already amazing lineup, they have added sonic visionaries Bedouin, who will headline the Tmrw.Tday Official Closing Party; to take place at The Caves. They also added one of the most inspirational Yogis of today, Shiva Rea, who will lead her own retreat during the festival. The Shiva Rea Roots Immersion Retreat will guide participants through a visceral exploration into the roots of Jamaican music. Tmrw.Tday promotes self-awareness by looking at your life today, to begin changing and mending, to achieve a better tomorrow. They help you to achieve a better tomorrow with their seven day culture festival; where you will take on a journey of consciousness through wellness, music, natural therapies and much more. The experiences are categorized under the themes, “Vibez Tribe”, “Island Vibez”, “Irie Soul Tribe”, and “Garden Of Mary”. Vibez Tribe features musical acts; Island Vibez has music performances by Jamaican artistes, both Reggae and Dancehall. Irie Soul Tribe has yoga and wellness programs; while Garden of Mary exposes you to plant medicines and alternative therapies. 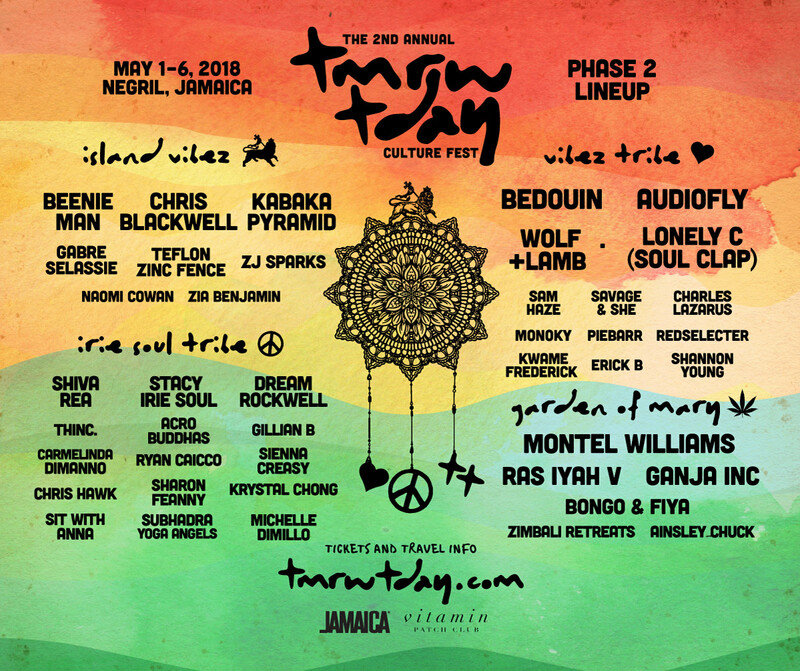 The Tmrw.Tday culture festival has a diverse music and wellness lineup which includes: AudioFly, Wolf+Lamb, Lonely C of Soul Clap, Beenie Man, Teflon Zinc Fence, Gabre Selassie, Kabaka Pyramid, Ras Iyah V, and Dream Rockwell. Tmrw.Tday has captured and blended a mix of global musical acts, with internationally acclaimed wellness professionals, global activists, and cannabis and alternative therapy movements, to create a wholesome and life changing experience. 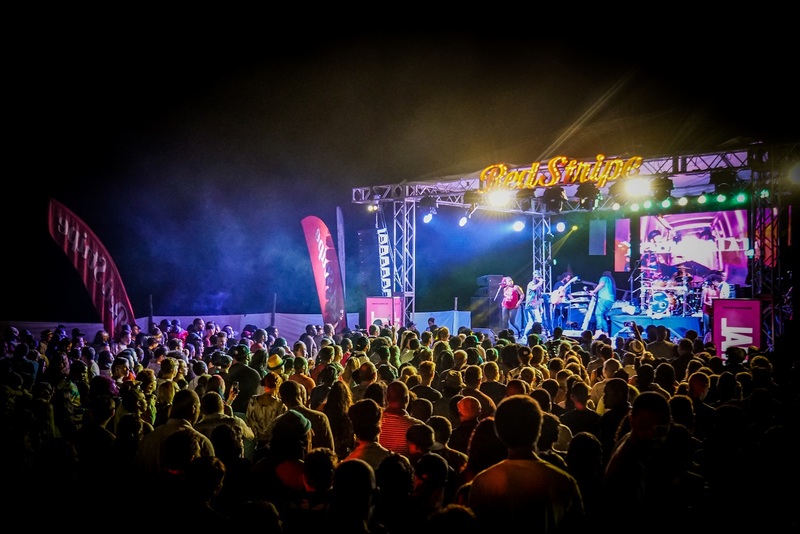 This ‘festi-vacation’ is not to be missed; especially if you enjoy reggae music, house music, yoga and fitness, as well as cannabis culture. All this will be used in the exploration of your mind, body, and soul, during the week long festival. Visit Tmrw.Tday to learn more about this annual culture festival. Keep up to date by following @Tmrw.Tday on Instagram, @TmrwTday on Facebook, and on YouTube.